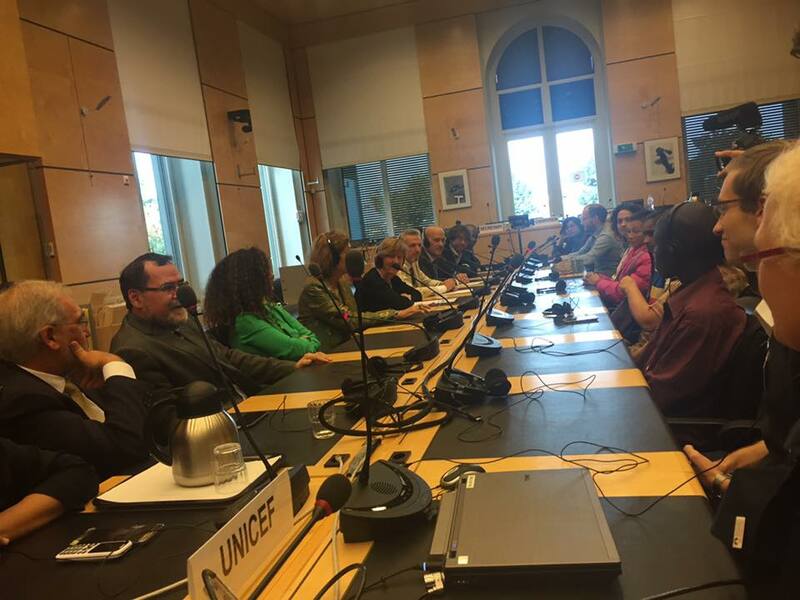 In September 23, 2016, Tom Weerachat represented the Mekong Youth Assembly to give a presentation at the UN Committee on the Rights of the Child’s Day of General Discussion on Children’s Rights and the Environment (DGD16) at Palais des Nations, Geneva, Switzerland. He was a speaker at the Working Group on Children and the effects of environmental degradation: The Relevance of Access to and Preservation of Natural Resources, Ecosystems and Biodiversity for Children’s Rights. His presentation entitled “The impact of development projects on the livelihoods of communities depending on the ecosystem of the Mekong River in Southeast Asia” highlighted Children’s rights to development, preservation of their cultural identity, access to nature and a healthy environment and the exclusion of children and youth from participation in shaping (sustainable) development. Together with child representatives from terre des hommes (tdh) Germany projects in Zambia, Colombia and India, Tom had successfully delivered key messages to around 200 policy makers, relevant stakeholders and global child rights focused civil society network who attended the event. He received great feedback from audiences and was able to connect and widen networks of the MYA. 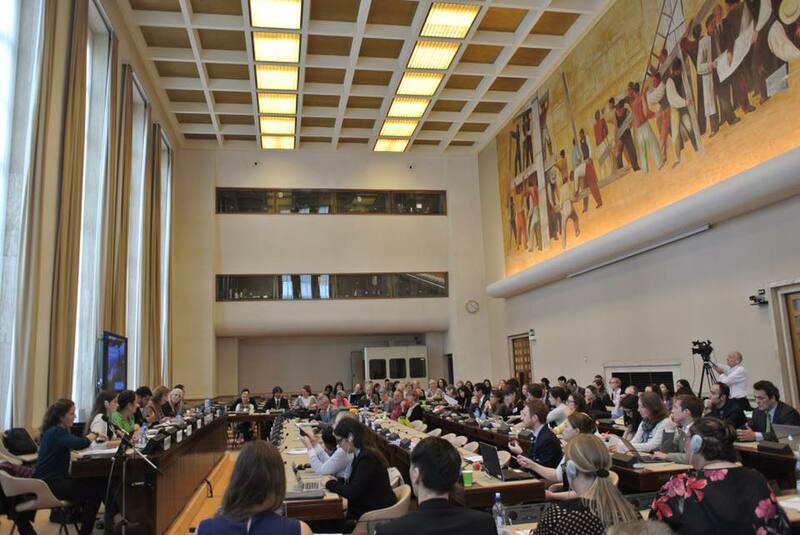 Prior to the DGD16, Tom Weerachat was invited to participate in the Expert Consultation on Biodiversity and Human Rights hosted by Prof. John Knox, UN Special Rapporteur on Human Rights and the Environment in Geneva. There were 35 representatives from environmental conservation and human rights organization around the world. The Special Rapporteur will use input from this consultation to prepare a report on biodiversity and human rights and submit to the UN. Following series of events in Switzerland, Tom continued his trip to northern Germany where he spent a week working with tdh Germany working groups in Bremen and Delmenhorst to deliver his DGD’s presentation and reflection from the event to a number of high schools and colleges students and tdh volunteers as well as the public event at Bremer Informationszentrum für Menschenrechte und Entwicklung (biz). 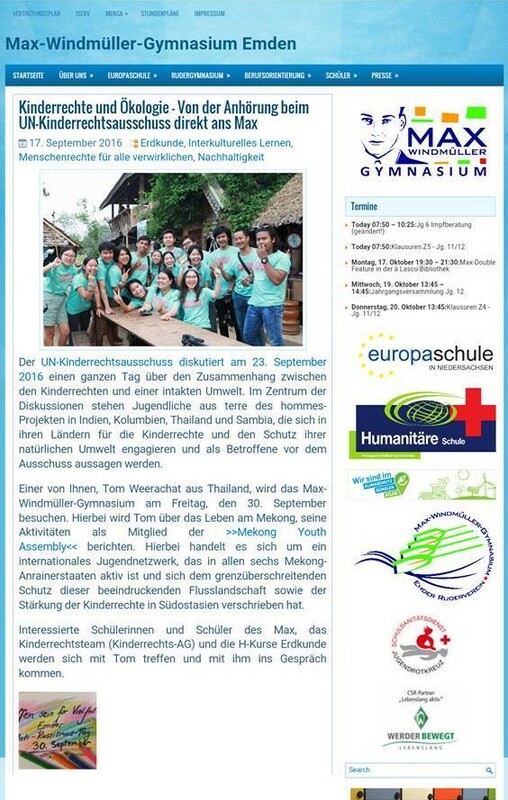 He had great opportunities to exchange MYA’s works experiences to more than 400 Germans who expressed interests and concerns on environmental problems and child rights situation in Southeast Asia. Working group: Children and the effects of environmental degradation – children’s rights and climate change. 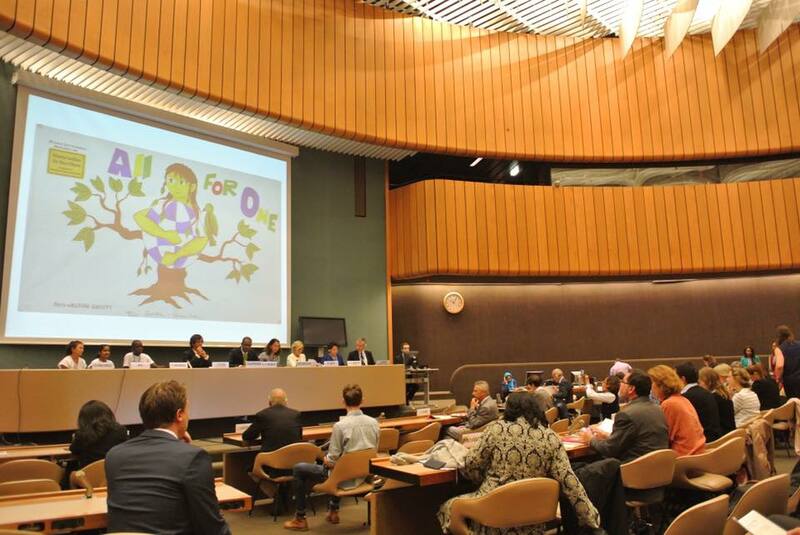 CRC Day of General Discussion on Children’s Rights and the Environment is starting now at UN in Geneva.